For the past several years, my vacation time has been used 2 days at a time, book-ending conventions weekends across the southeast. With the store plans making convention commitments a wee bit tough–a good thing, seeing as how much time I ended up using for Todd’s surgeries, etc.–but Ancient City Con in Jacksonville was the first one we took Raiding Party to and it quickly became the highlight of our year. 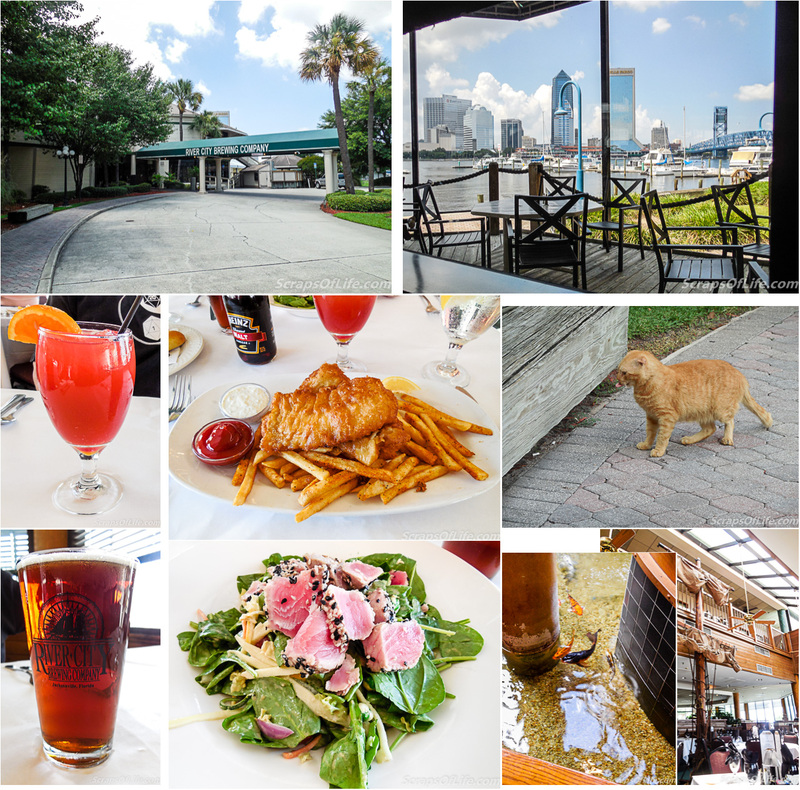 We decided to head over for a quick trip on Saturday and hit up not just the convention, but some of our other Jacksonville spots as well. Previously ACC has been held in hotel ballrooms but this year they moved to the Prime F Osborne Convention Center, which also happens to be an old train station, so there were lots of fun details around to spot while we waited in line to register for our wristbands, as well as some good people watching. They could have used some stanchions to make the line easier to handle, but for the first year in a new location, things seemed to run pretty well! 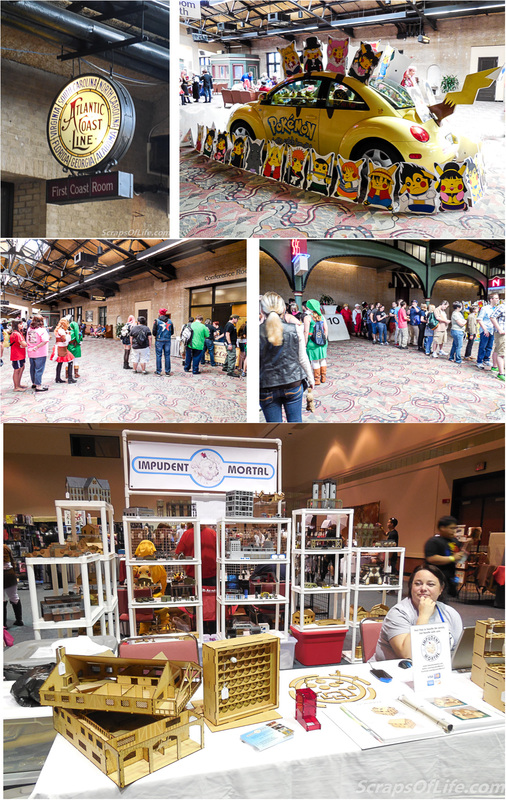 All of the vendors I asked about the venue change (we’re chatty with quite a few thanks to previous years on their side of the table) seemed pretty happy with it–there was more space and the creator’s alley was separate from the vendor room. Traffic seemed to be pretty good in both rooms while we were there, so I hope it worked out for them (sometimes being in separate rooms means people miss one or the other, but the maps hung up and on the back of the program had each space clearly marked). Cosplay is big at any convention and I tried to remind myself to take pictures this time–I’m usually too distracted to remember! I’m clearly drawn to the steampunk cosplay; I find their outfits the most fascinating as most are based on original concepts. 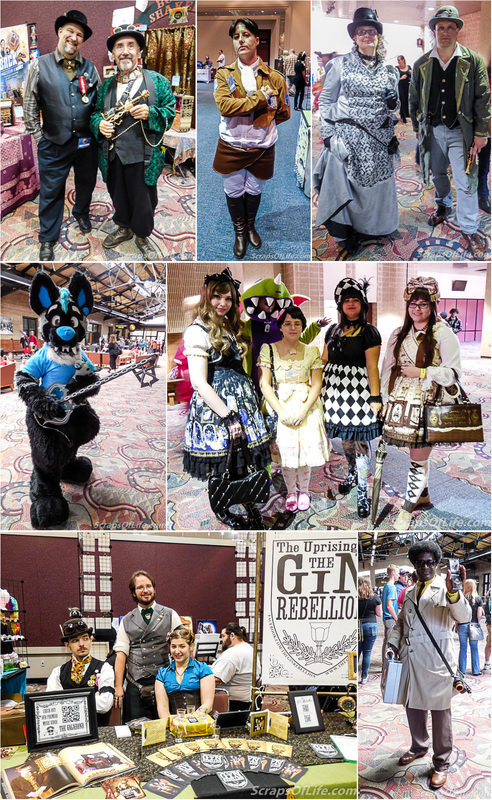 There was also a lot of Attack on Titan characters walking around (the one in the collage, above, is a vendor friend responsible for The Casual Warrior’s Kimono-ya booth) and there’s usually a furry or two walking around as well. I know some folks find furries creepy but I admire their commitment to walking around in those hot costumes! I was happily surprised that several people–vendors and attendees alike–recognized me without my usual convention get-up (which I call Chef Coat Cosplay) and out from behind the table. We have always felt like we make friends on the convention circuit (even if we only see most of them once a year) and this trip really reinforced that idea. For that alone I’m happy we made the drive. After walking around for a few hours we decided to go grab some lunch and check into our hotel for the night. After a few misses on the where to eat roulette (we were using my GPS to pick someplace nearby that sounded interesting, and struck out first with a closed deli, then another place that was definitely open but there was absolutely no parking within several blocks) we ended up at River City Brewing Company just before the end of their lunch seating. Right on the marina we had a great view of the water and downtown skyline, ordered some drinks, and then settled in with an Asian Tuna Salad for me and the Fish and Chips for Todd. Overall it was quite tasty, though I could have done with fewer wasabi peas on my salad (not a huge fan in general, but an interesting “stand in” for croutons) and they made Todd’s Planters Punch extra strong to apologize for our wait. There wasn’t much of a wait, and the strength of the punch made it unbalanced. I was much happier with my Red Rooster Ale. As we were leaving the restaurant we spotted Koi in an indoor pond and then spotted a cat outside being hand-fed the dish of the day. The waitress on kitty duty said they’d adopted him 17 years ago, made sure he got his shots and treatments, and fed him from the kitchen every day. A pampered pet that looks like he might have some Scottish fold in him with his little tucked ears. 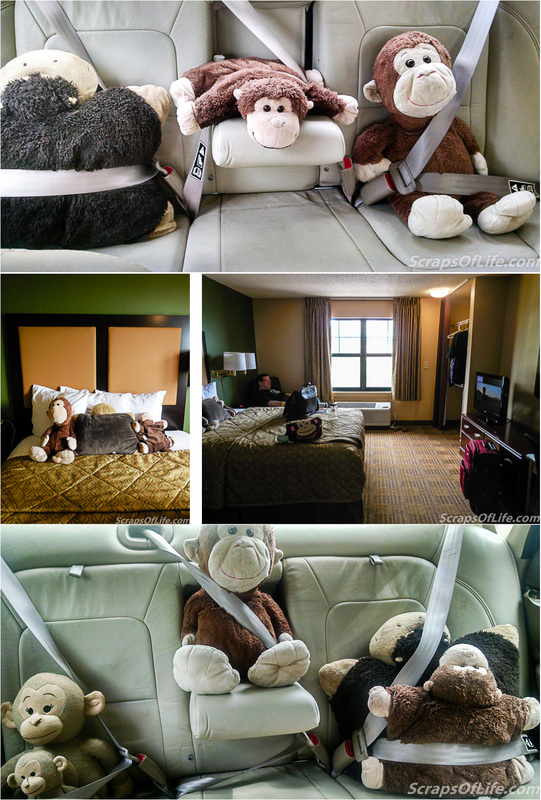 It’s important to secure all passengers, even the plush ones! We stayed just a bridge away from downtown proper at an Extended Stay hotel–we usually use these sorts of hotels when we’re travelling with samples for conventions and have stayed in this one in the past. I had a free “night” credit via Hotels.com (since I book all our convention hotels through them, we rack up at least 1 free night a year) and the hotel was clean and comfortable. The monkeys approved. Speaking of monkeys, we started the trip with three but had to do some shuffling in the backseat once we picked up Maya and Kip (from Disney Nature’s Monkey Kingdom) at the Disney Store. We may not have gotten our morning mile in at home this weekend, but we made up for it while walking from one end of St Johns Town Center to the other and back again. We originally went to the large open-air mall so I could get some more of the Ayurvedic White Chai Tea from Teavana (I got it, plus 3 other teas for an somewhat obscene amount of money) but then I saw the Disney Store sign and, well, off we went. I also picked up a bath bomb from Lush before heading back to the car. Now, here’s where my habit of overpacking (which I’m sure I share with a great many women) paid off. It was hot as blazes walking around that shopping complex and by the time we left I was hot, sticky, and sweaty. Thank goodness I had a couple extra outfits with me (I packed 3 for a simple overnight trip, though I did coordinate them all to a single pair of shoes) as it meant I could grab a quick shower and put on fresh clothes before heading back to the convention. 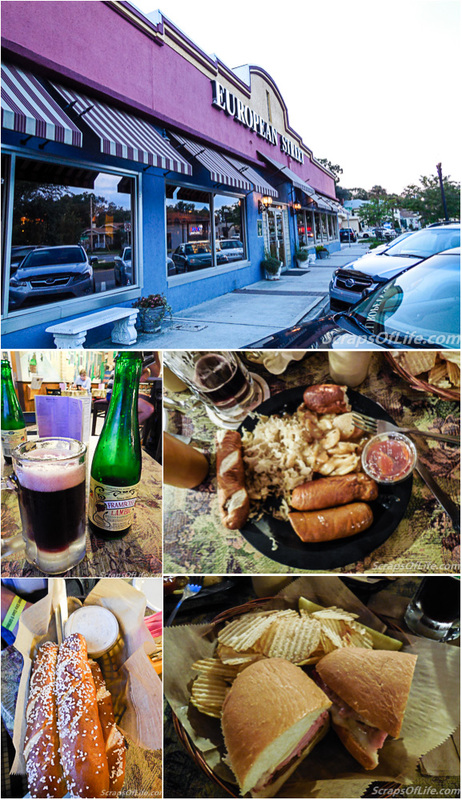 I’m also grateful we decided to squeeze the shopping trip in on Saturday instead of waiting until Sunday. If we’d had to drive home all sticky and sweaty it would have been a miserable 3 hours! 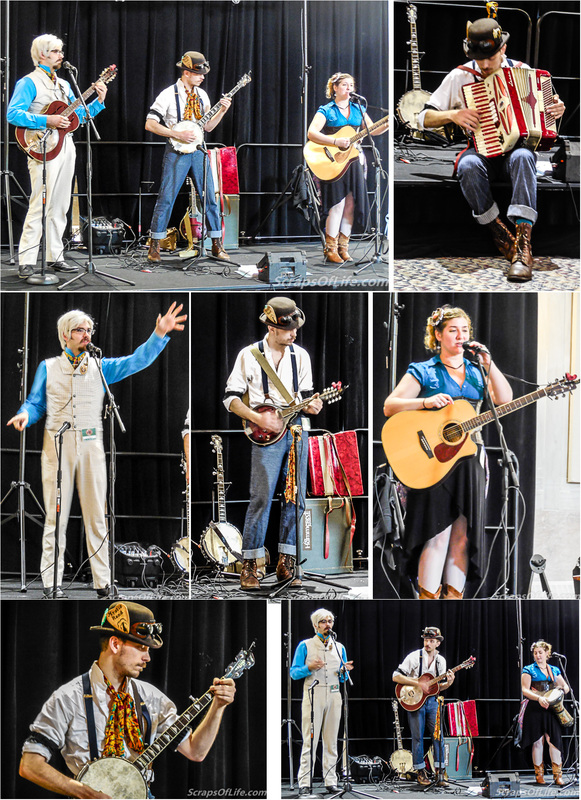 Meanwhile, back at the convention center, we returned in time to see the 7pm performance of The Gin Rebellion, a steampunk trio we met at last year’s ACC and really enjoy listening to. H.M. (the white-haired gent) is such an expressive storyteller and Renfield (the man in the middle) inspired the Gin Rebellion drinking game (which involves taking a drink every time he switches instruments or any time the band members say–or think about–the word accordion; considering they have a song about a haunted accordion, you’ll be quite sauced if play by the rules). Ophelia Baptista has a broad vocal range and changed instruments a few times, herself, over the course of the set. They are a delight to listen to and I’m not just saying that because they bought 2 books from me, last year, and Ophelia used my Paladin Punch at her wedding last fall! Just like any other convention trip, we were exhausted by the time we got back to the hotel around 9:30 and crashed hard. Since we’d accomplished our goals on Saturday, we slept in on Sunday morning and still made it home around 1pm. I made a pitcher of iced tea from my Teavana haul (a blend of Youthberry and Wild Orange Blossom that we tried in the store–divine!) and contemplated a nap. Travel wears me out, but I was grateful for our little no-stress getaway.